How many beautiful salads am I going to post this Summer? So many salads! As you can see I love a good salad. I can eat them forever and ever. Another thing I like about these salads, they are so easy to make. 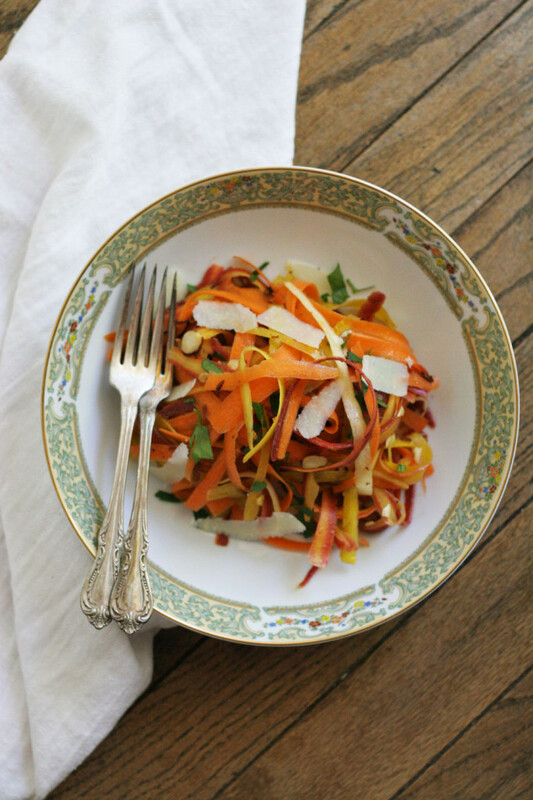 This is a raw rainbow carrot salad with lightly toasted almonds for extra crunch, Parmesan cheese, and a simple vinaigrette. Summer is meant for simple, beautiful food without being stuck in the kitchen all day. This beauty took me 10 minutes to put together. And the thing is, we all almost always have carrots in the fridge right? 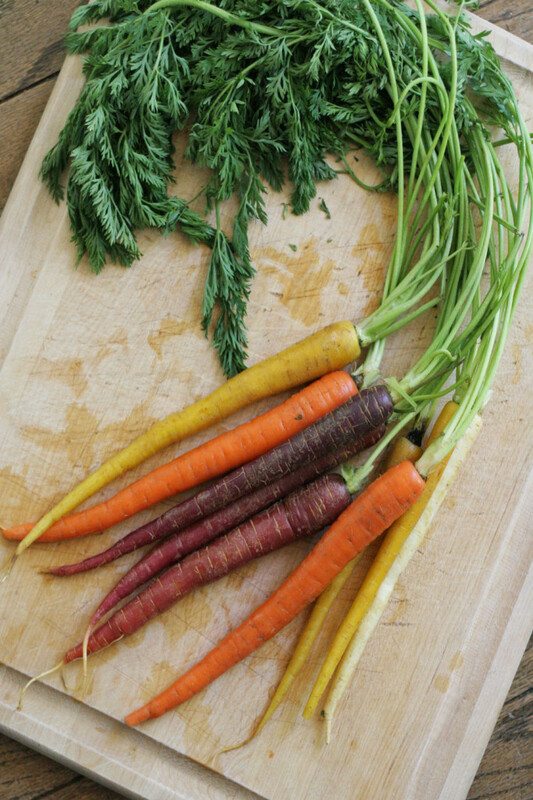 Using all orange carrots is just as awesome, so no need to run to the store for rainbow carrots, I just thought they were pretty when I was at the market. Do you love carrots? 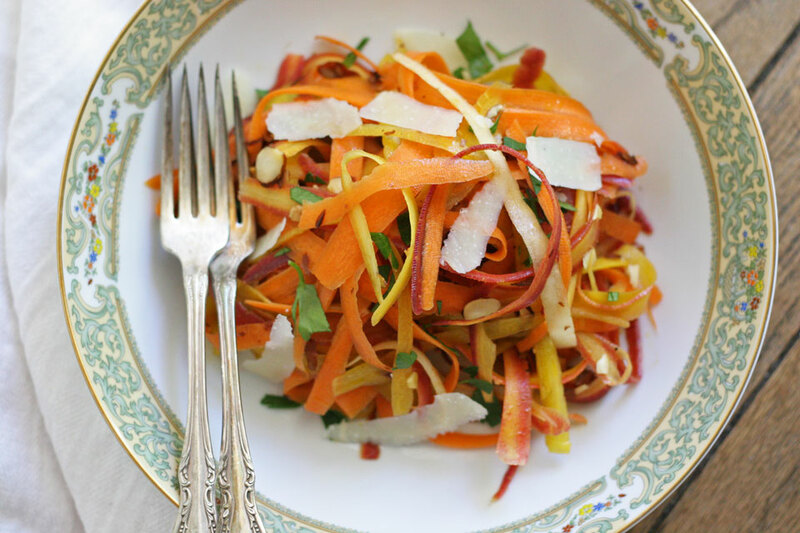 Have you made a carrot salad? 1. 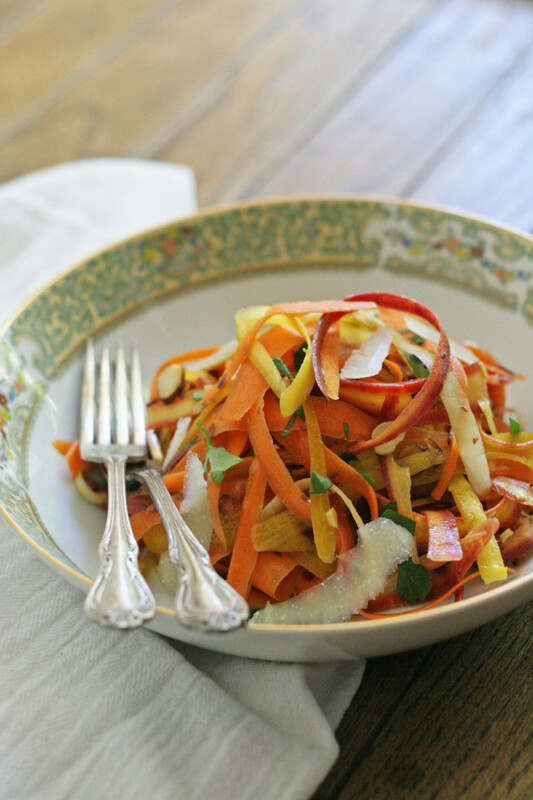 Use a peeler to ribbon the carrots, place in a bowl. Add the almonds, and Parmesan cheese. Gently toss to combine, preferably using your hands. Place the olive oil, balsamic vinegar, salt, and pepper in a jar, shake to combine. Add the dressing to the carrots, gently toss to combine. Taste for seasoning. Serve immediately with fresh chopped parsley. Store in an airtight container for up to three days. Thank you so much! Yes, salads are the best, especially when they take ten minutes to make! Cheers to Summer!